This month we had two guest speakers. First up was City Council Person Mike O’Brien, representing the north end’s District 6. He discussed two programs: Law Enforcement Assisted Diversion (LEAD) that is being expanded from its pilot neighborhoods, hopefully soon into the North Precinct, and the Community Service Officer program that is ramping up to offload some of the workload from the SPD officers. Then Mark Bridge from SPD’s Data Driven Policing Department spoke. 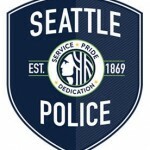 SPD analysis of crime statistics informs its crime-fighting tactics; that is why I say over and over that reporting crimes, even if there’s no hope of police being able to investigate every crime, what less your crime, is still important. If Pinehurst under reports crime, we will never get the attention from SPD that we want. Read the comments by O’Brien and Bridge, plus lots more info and news, in the minutes here. Worthwhile to read. I also used it to register our block party.